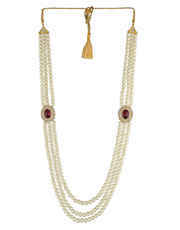 Groom must have this maroon colour adorable necklace from Anuradha Art Jewellery. 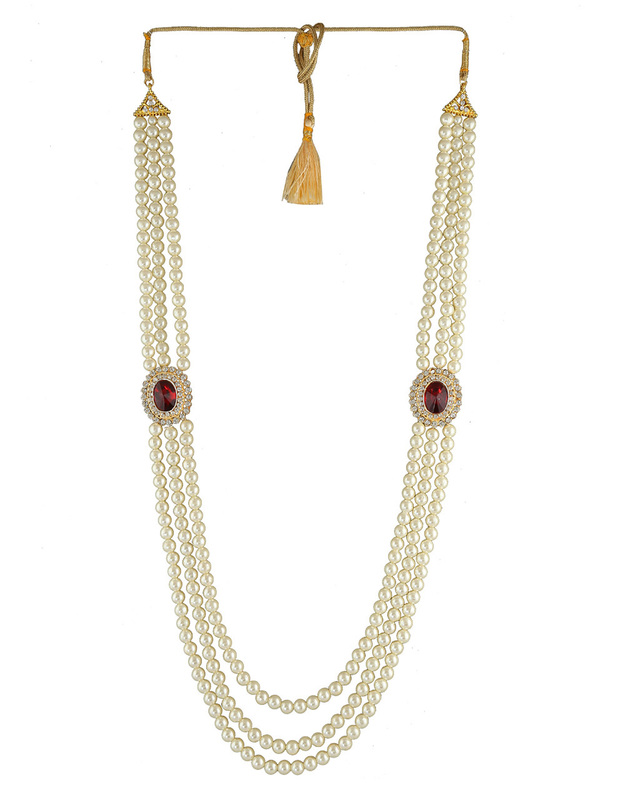 The oval shape pendant is embedded with sparkling stones and made from golden finish metal. 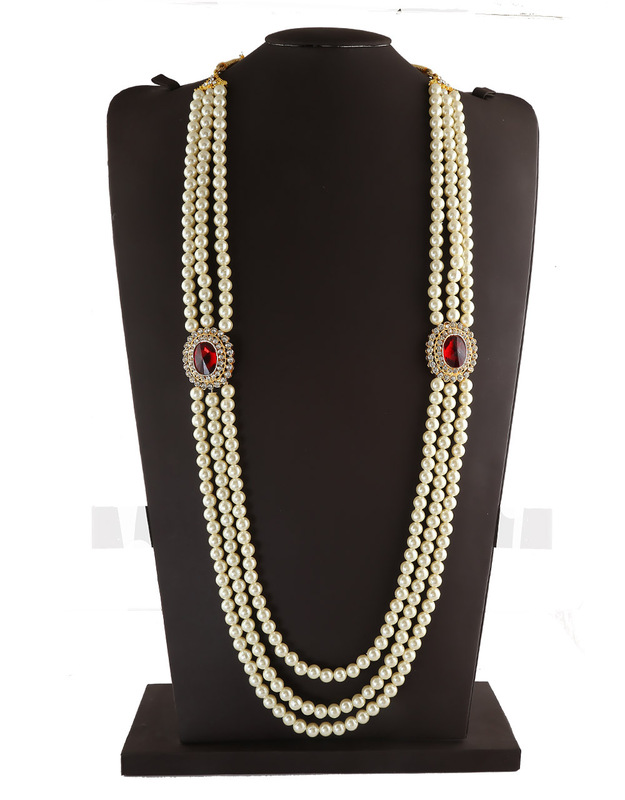 This necklace is woven with good quality pearl beads. It comes with adjustable dori, so that you can fit it properly. So order now!